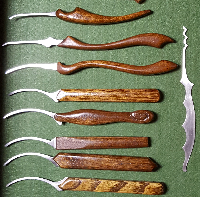 What are your current lockpick skill sets that you currently use? I tend to use my electric pick a lot but I foresee myself using Bump Keys and also impressioning to unlock doors. For me speed is critical though I take pride and satisfaction from SPP. Not currently a locksmith, but playing with it. I like to use the old style of as tool to learn. I think that the quick tools are good, but if you can not do things with old style, then you are limiting yourself and skill set. pagedeveloper wrote: Not currently a locksmith, but playing with it. I like to use the old style of as tool to learn. I think that the quick tools are good, but if you can not do things with old style, then you are limiting yourself and skill set. I totally agree that old style is good. But at least where I am located, clients pay for results and not for efforts, which basically means i need to get the job done as fast as possible. And that means opening the lock and getting the client into the house. The end justifies the means, I guess. If you look around, I know there is another thread that discussed this. For house lockouts I SPP everything except kwikset smartkey. For those I use a decoder and cut a key because I can, and it's faster than having a conversation about how the lock needs to be replaced. I do have a pick gun, somewhere, I think at the bottom of a tool box. Haven't used it in years. Businesses sometimes have locks that I won't bother trying to pick. For example, keymark IC, some you can reasonably get picks in, some you can't. Then I look for other options, under the door tools etc..
For me, the first thing I do is pick, then impression. I'll occasionally use bump keys, pick gun, etc. I usually won't use bump keys if they ask about them though. I have a pick gun and electric guns, but they hardly see use. A bogota hasn't ever really failed me when the chips are down and I often wear thick gloves on lockouts. Automotive I'll even try to pick the door if I have requisite picks. I think picking has been my go to for so long that it feels foreign to do anything else. First things first lubricate. I like a spray with PTFE in it so some of the debris and dirt gets washed out at the same time. Then I rake, bump, sometimes SPP depending on the circumstances. About a year ago I got to go on several surreptitious search warrants with a police task force. I would pick and they would watch my back. Once open they would do their thing inside and I would lock the place back up. The most important thing for them was to leave no trace. I had to bump a couple of the locks but that was a last resort in this case. As fun as it sounds it was terribly boring sitting around waiting for them to do what they had to do. mdc5150 wrote: First things first lubricate. I like a spray with PTFE in it so some of the debris and dirt gets washed out at the same time. Then I rake, bump, sometimes SPP depending on the circumstances. Yeah using a spray to get the debris and dirt out helps a lot. Good tip! RubberBanned wrote: For me, the first thing I do is pick, then impression. I'll occasionally use bump keys, pick gun, etc. I usually won't use bump keys if they ask about them though. I have a pick gun and electric guns, but they hardly see use. A bogota hasn't ever really failed me when the chips are down and I often wear thick gloves on lockouts. Automotive I'll even try to pick the door if I have requisite picks. I think picking has been my go to for so long that it feels foreign to do anything else. How fast do you do impression on the field? I use my electric gun more than SPP to be honest. Rake, pick then EPG. EPG is a Godsend in the field. huxleypig wrote: Rake, pick then EPG. EPG is a Godsend in the field. SPP then pick gun. I have an EPG but never got comfortable (ie:good) with it I probably haven't given it a fair shake, but my success rate is very high with what I use so I may never work at it. I've seen the abuse the pins sustain with an EPG, it kind of turned me off to using one. First thing I ever do is get the customers key and try it myself. Here on base there are old buildings with shifting foundations and sometimes its just a matter of the strike actually sitting on the strike plate and not allowing the key to unlock it. If it doesn't seem like the issue is with the door I always try SPP before EPG or bumping because those can cause damage to the locks pins and springs. If its possible I use a under the door tool first but that isn't always a possibility. The only time I've used impressioning is when they've lost the key or I can pull the trim and bring the lock to the shop. My typical approach is to try rocking, then raking, then SPP, or a combination. I have pretty good results with rocking locks open, but if the lock won't rock, I'll try raking, and if raking alone doesn't do it, I'll rake briefly and then go in with a hook to finish the job. There was one instance where neither rocking nor raking did anything meaningful, so that one was SPP all the way. It was a 6 pin, and had spools in 4 of the chambers and a lot of high-low, with a low pin in chamber one. 1 and 6 were normal pins. I love deforest half-balls. After I unlocked it, the customer remarked that he once had another locksmith (long since retired) secure his locks. I wished he had said something sooner, lol. I now always ask new customers if, to their knowledge, any other locksmith has worked on that lock in the past. As a side note, I'm still amazed at the number of people who buy and move into an old house, and never change the locks, or have them rekeyed. If it's a padlock, I almost always SPP those, I find it easier and faster 99% of the time. I have a (manual) pick gun, but have never used it outside of practice. I would if it were subzero weather and my hands went numb while trying to pick the lock. I have used a plug spinner a few times. If I couldn't pick it or gun it in a timely fashion, I would move on to bypass methods. I've only ever slipped latches or used "non-exotic" bypass methods during security consultations or actual testing. I feel that if I was called for a lockout, and my very first course of action was to slip the latch, or compress an already ill-fitting door the extra 1/8" it needed for the latch to pop free, that it would leave the customer with a dark point of view towards me as a professional ("he's just a burglar!"). Pick, pick gun, bypass, bump. Never bumped a lock professionally, and hopefully never have to, also because of what I feel the customer's view would be. I have a board with 3 challenge locks mounted to it that I pick most every night before going to bed, as a ritual to keep my picking skills in good shape. I re-key them all twice a week so I don't become too familiar with them. Auto lockouts, I use wedges and through the door tools, although I'm planning to get one of the Lishi 3-in-1 tools to try out. I have picked individual wafers before, and had limited success with auto jigglers, but the wedge and long reach tool has been so much faster and more reliable, that it's become my standard.